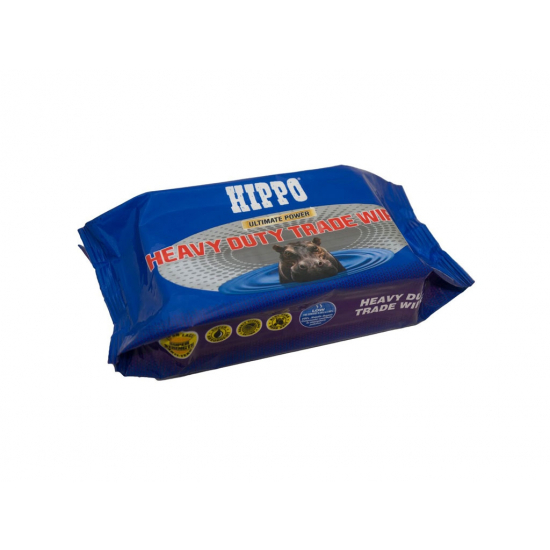 Hippo Heavy Duty Trade Wipes, antibacterial cleaning wipes. 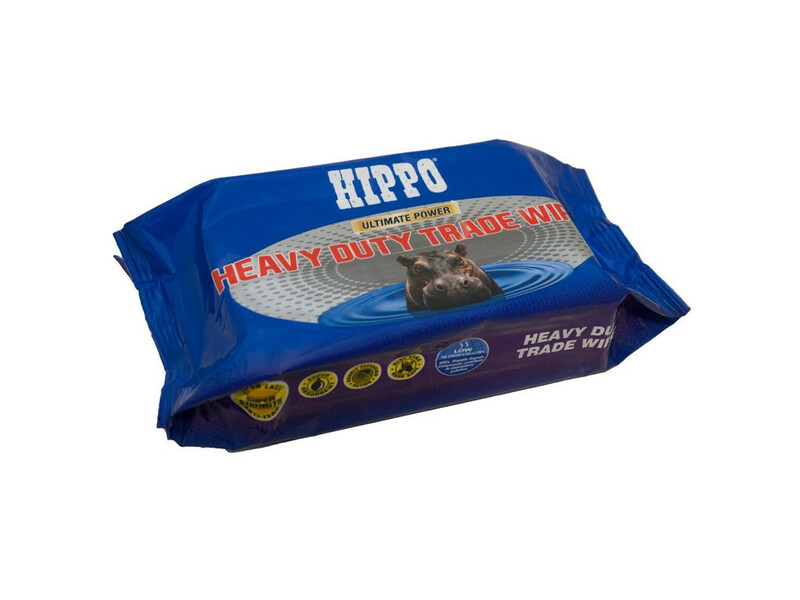 Hippo Heavy Duty Trade Wipes, antibacterial cleaning wipes. Tough and smooth cleaning power for use by anyone who needs an effective multi purpose cleaning solution. Made from spun lace the wipes remove dirt and grime from hands or tools including most paints, oils and adhesive. Dermatological tested they are safe to use on skin.